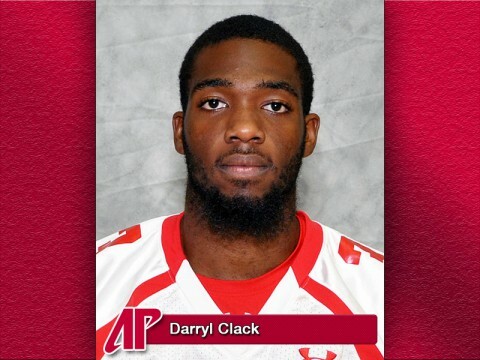 August 2013 Archives - Clarksville Sports Network - Clarksville Tennessee's most trusted source for sports, including Austin Peay State University. Tampa, Fla – Austin Peay State University’s volleyball team stole a set in a loss to host South Florida in Saturday’s opening match before securing its season’s first win with a three-set sweep of The Citadel to conclude its stay at the USF Invitational. Knoxville, TN – Bashaara Graves and Ariel Massengale are veterans when it comes to playing for USA Basketball. The Lady Vol standouts each earned their fourth international gold medals over the summer, aiding American squads to first-place finishes at competitions overseas. Clarksville, TN – A veteran top-three returns for the Austin Peay State University women’s cross country team when it kicks off the 2013 campaign with an 8:40pm (CT) run at the Brooks Memphis Twilight Invitational, hosted by Christian Brothers at the Mike Rose Soccer Complex in Collierville, Tenn.
Clarksville, TN – Austin Peay State University men’s cross country team kicks off its 2013 season at the Brooks Memphis Twilight Invitational, hosted by Christian Brothers, with a 9:20pm (CT) start time at Collierville’s Mike Rose Soccer Complex. Clarksville, TN – The Montgomery Central High school Indians (0-2) proved to be the inferior tribe, losing their home opener to the Harpeth High Indians (1-1) 13-34. Big plays by the MCHS Indians in the first half turned into turnovers, penalties and broken tackles in the second half. Harpeth took advantage of every mistake, scoring 21 unanswered points in the second half. Clarksville, Tn.- The Rossview Hawks football team followed up last week’s opening game win with a convincing victory over McGavock Friday night at Hawks field 48-34. Led by quarterback Charles Talleyrand and running back Isaiah Johnson, the Hawks improved to 2-0 on the young season.